Oh this is a good one and it’s been in my favorites since way back when (I think since before craisins were invented!). Ever needed one of those versatile salads that’ll literally take anything you throw at it? This one fits the bill – I made it up one day a bazillion years ago and LOVE it every time I make it. 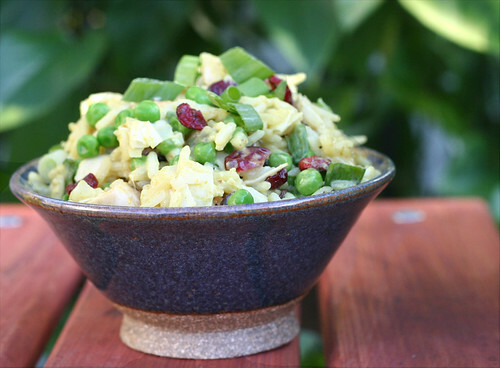 It’s a wonderful meatless main dish and makes a great addition to any pot luck. If you want you can add cooked/grilled chicken. 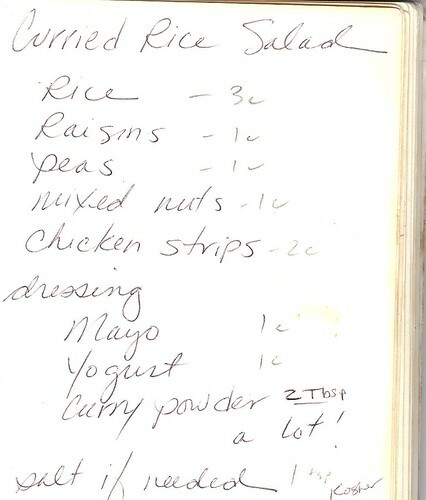 Here’s the original the quantities were added years later for the store. Scroll on down and I’ll give you the most current update. If there’s any left the next day you may want to add a little more milk to loosen it up. This looks really interesting. Like figtree, I wouldn’t have thought of putting yogurt in a rice salad, but it makes it more nutritionally complete and probably helps to tie it together.